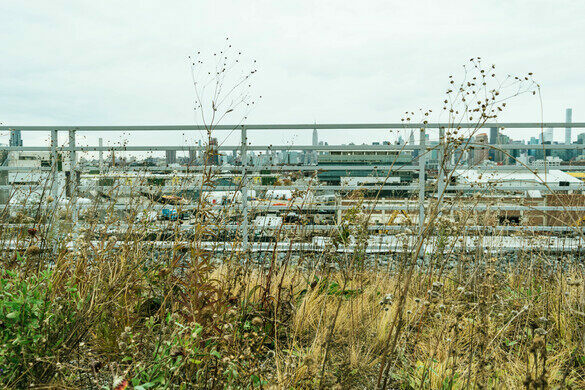 Fertile meadows of bee balm, purple aster, meadow prairie dropseed, orange butterfly weed, and wild strawberry plants overlook the scrap yards and factories of one of Brooklyn’s most heavily industrialized areas. 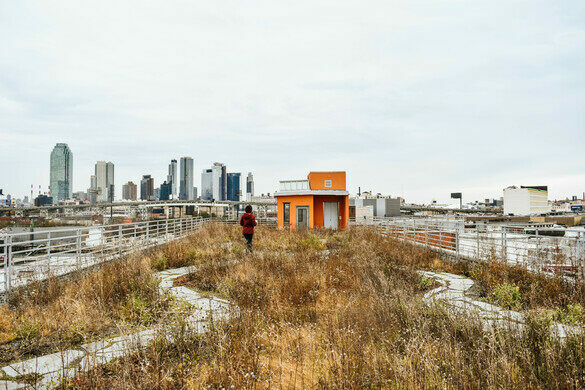 The once bare rooftop that overlooks the Newtown Creek Wastewater Treatment Plant’s massive egg-like digester tanks is now home to 22,000 square feet of native plants, birds, bats, and insects. 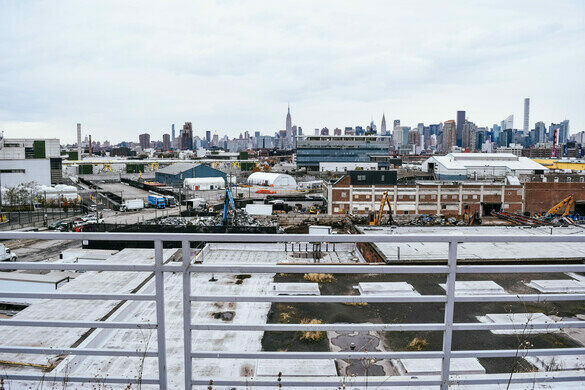 The green space, called Kingsland Wildflowers, is located on the roof of Broadway Stages film studios on Kingsland Avenue in Brooklyn’s Greenpoint neighborhood. 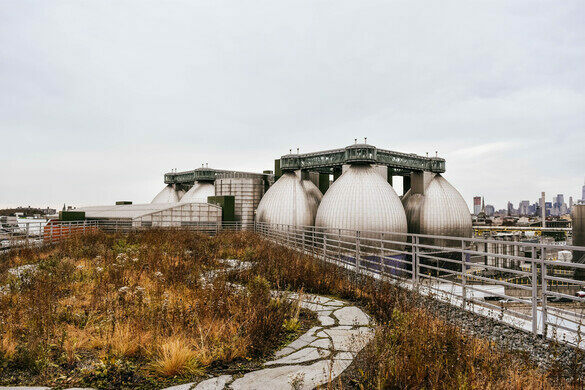 It’s a collaboration of landscaping group Alive Structures, New York City Audubon, the Newtown Creek Alliance, and, rather indirectly, ExxonMobile. 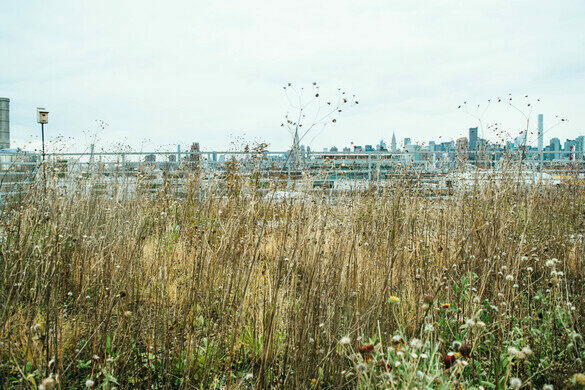 The idyllic array of local flora and fauna that fills the sky-high meadow was bankrolled by the Greenpoint Community Environmental Fund, an environmental grant program created with money from the $25 million settlement with ExxonMobil over its Greenpoint oil spill. 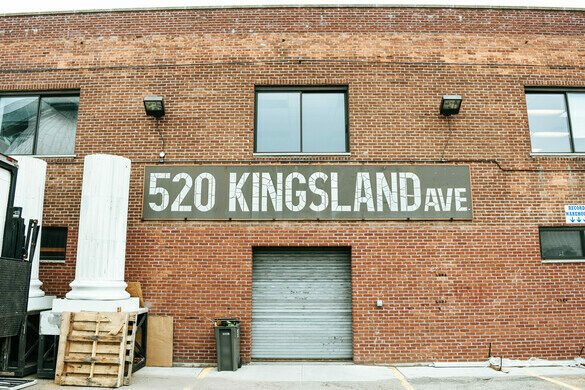 The story of Kingsland Wildflowers starts around the 1950s when three Exxon Mobil tankers out on Newtown Creek started leaking oil into the 3.5-mile estuary. The leak wasn’t discovered until 1978 when a Coast Guard helicopter on a routine flight over the East River discovered the plume of a 400 gallon oil slick floating on top of the water. Exxon spent the next year pumping 90,000 gallons out of the creek. A considerable amount of the 17 to 30 million gallons of oil that spilled into the creek is still there, and the bottom of the East River tributary is lined with a thick layer of residue—it’s as thick as 25 feet in some areas. 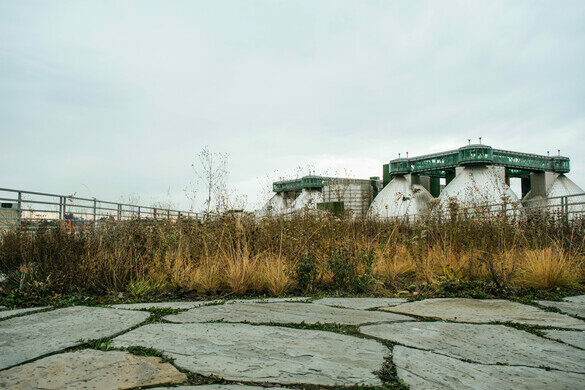 Kingsland Wildflowers is one of several projects throughout Brooklyn that are attempting to combat the consequences by creating habitats for local plants and animals in, and on, areas that are otherwise uninhabitable. 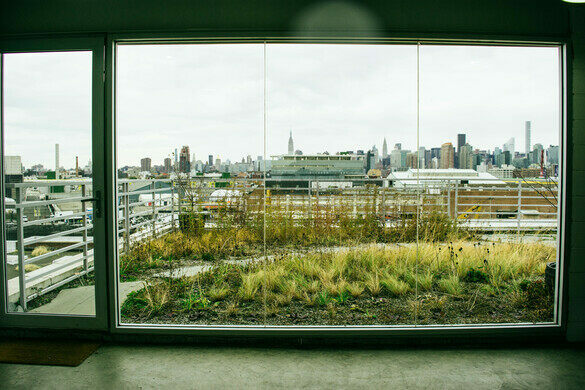 Instead of a gardening project, which requires harvesting and general upkeep, the plants in Kingsland’s meadows, located on the rooftops of floors four and five, are all native to New York. And they’re self-sufficient, so human intervention is largely unnecessary. The plants form a habitat for local birds, bats, and bugs, who would otherwise live on the contaminated banks of the creek or in nearby First Calvary Cemetery. And the other two roofs feature the lightweight, low-lying sedum, a succulent-like flowering plant that attracts grubs and other insects, which in turn attract birds, who nest in the sedum. New York City Audubon uses the space to monitor the increasing population of birds and bats.